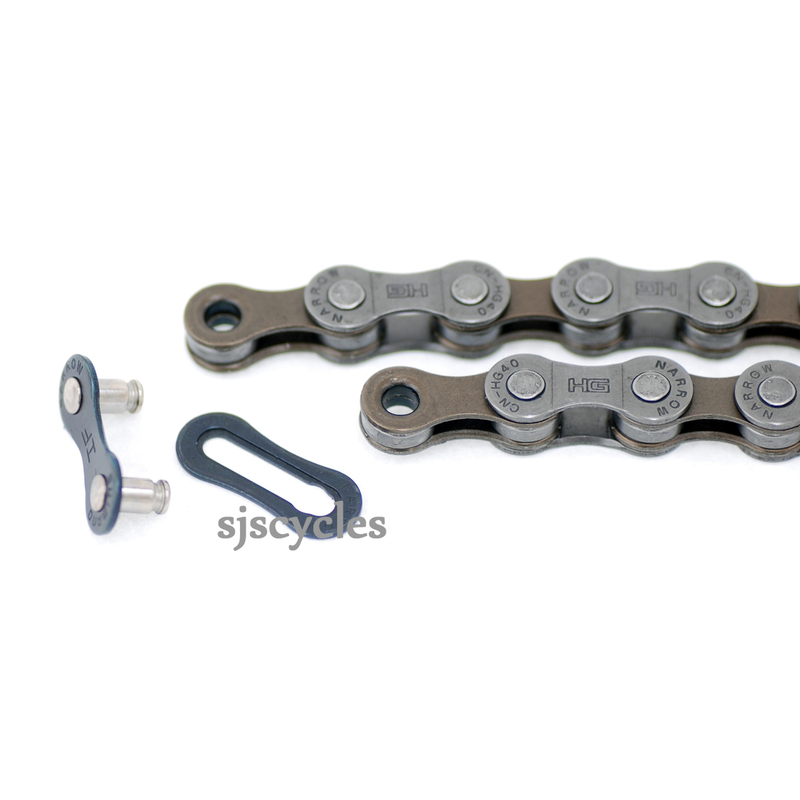 - Hyperglide (HG) series 9-speed compatible chain, recommended for Deore and Tiagra drivetrains. - HG technology has chamfered inner plates to optimise shifting performance on HG sprockets. - Durability is assured through a chromising treatment on link pins, and the heat treatment of rollers, pins, and plates. - Mushrooming of the pins gives unsurpassed side-plate retention, enabling the chain to far exceed the BS/ISO standard for breaking force. - 6.57mm chain width, optimised for 9-speedSuper Narrow HG drivetrains. - Corrosion-resistant grey finish on outer plates. - 114 links, 304 grams. The chain is supplied with a connecting pin and instructions of how to use. You just need a chain tool to fit. Can I use this with a 12-36 cassette? Yes, providing it is 9spd.